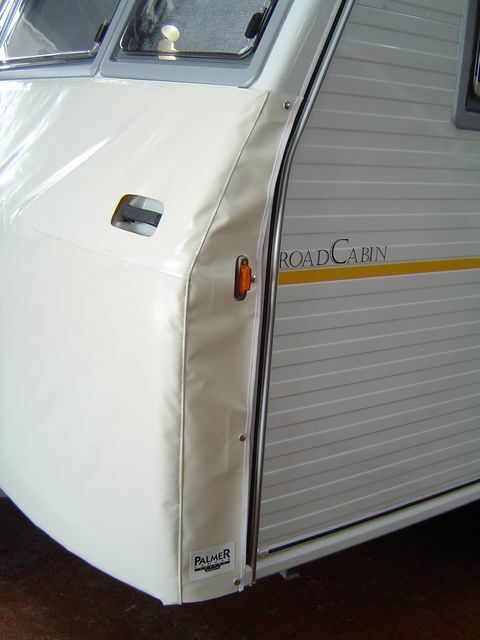 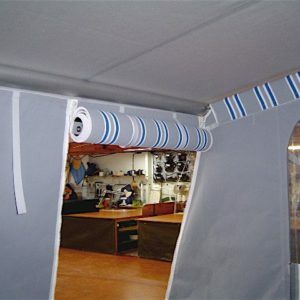 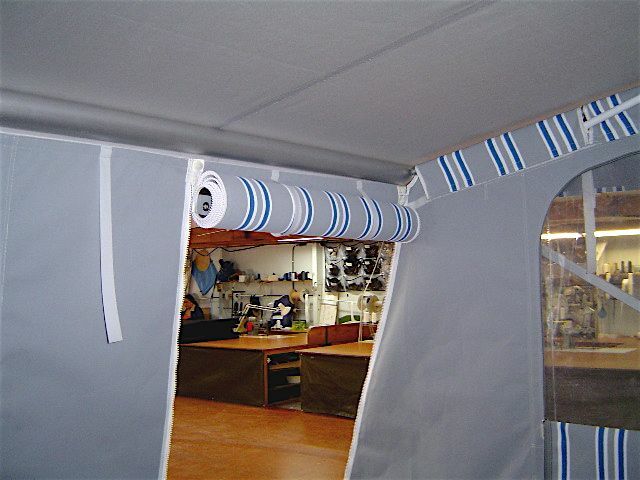 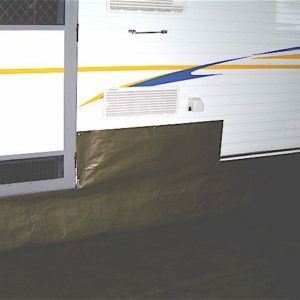 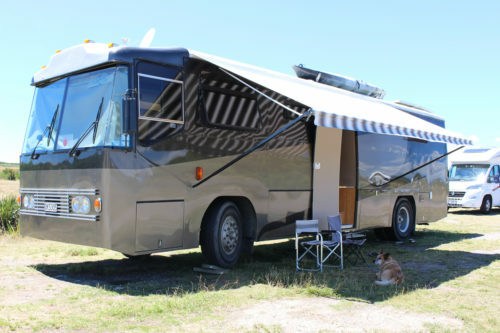 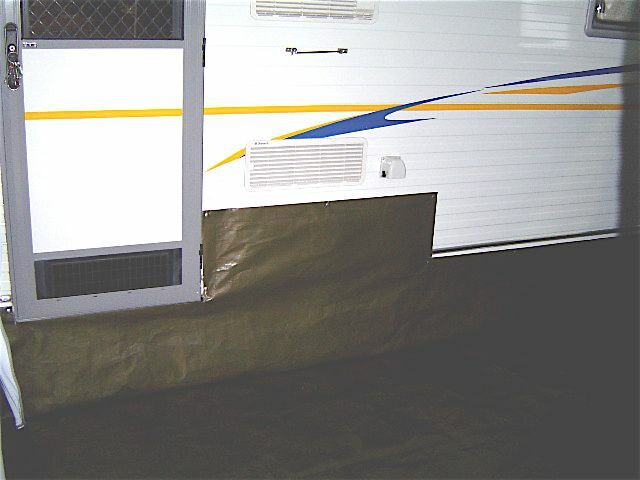 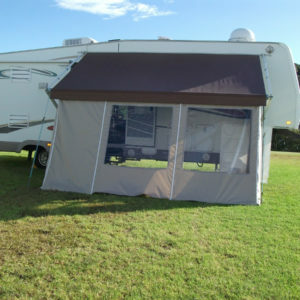 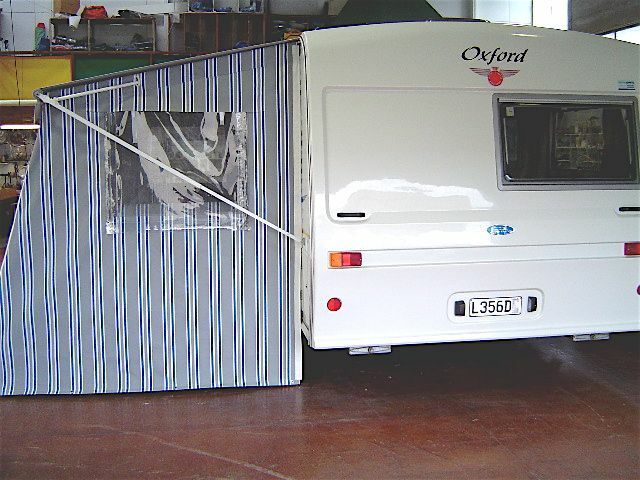 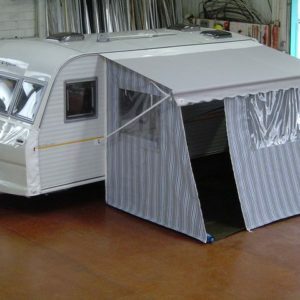 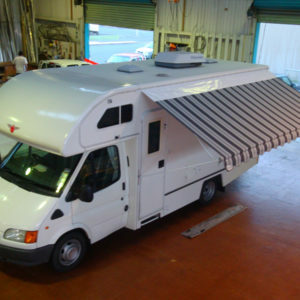 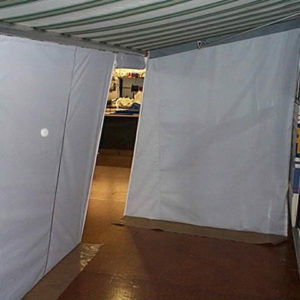 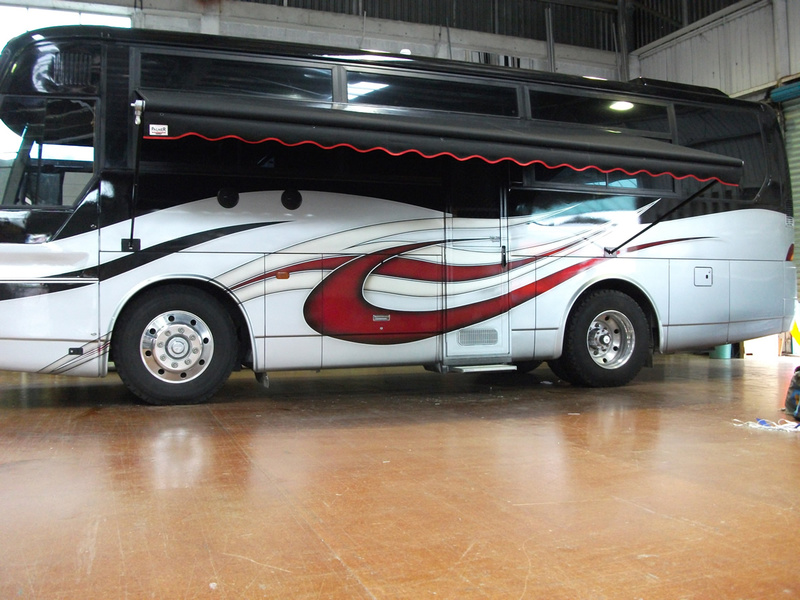 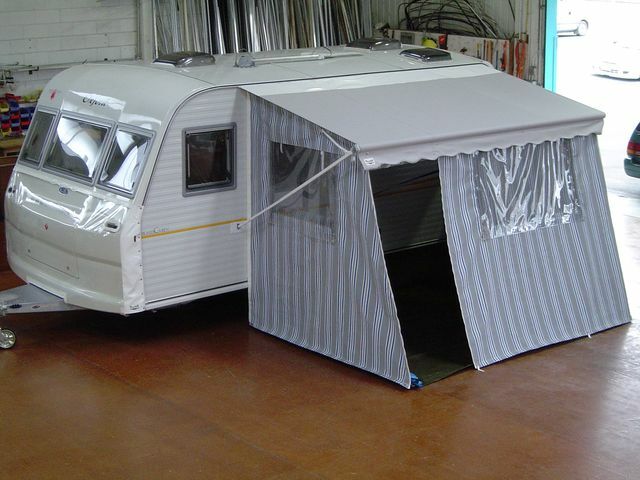 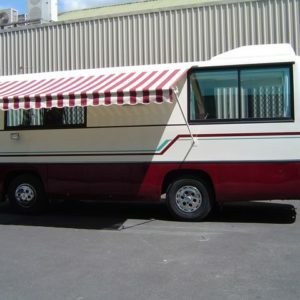 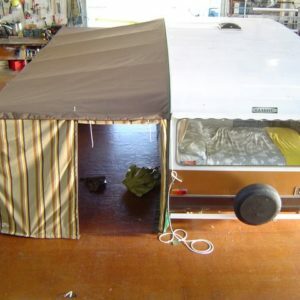 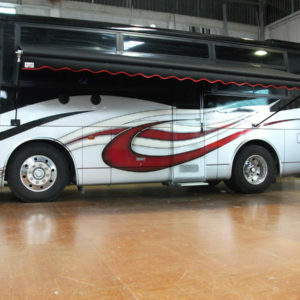 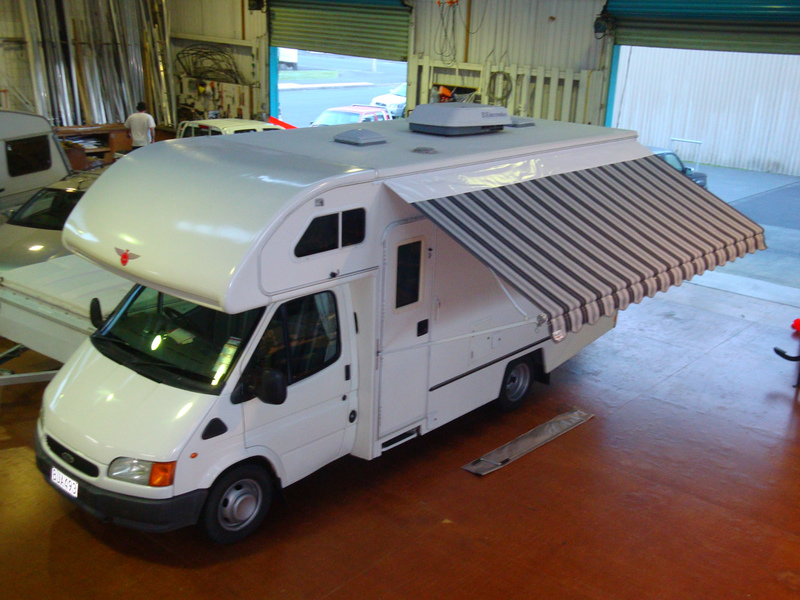 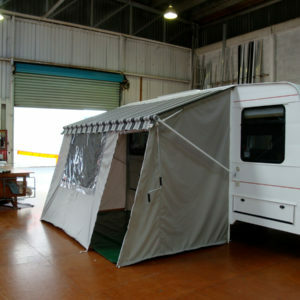 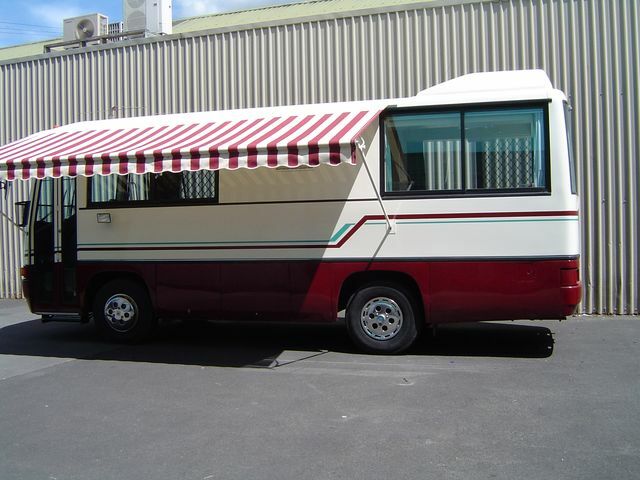 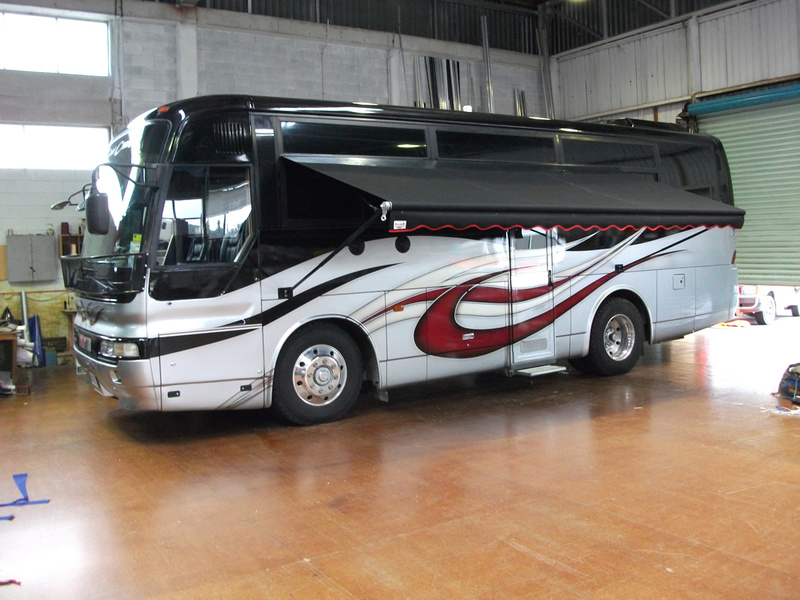 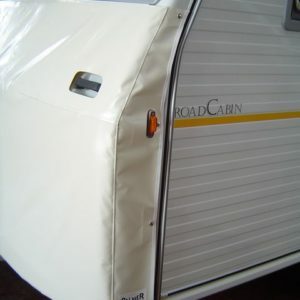 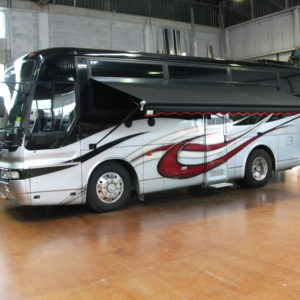 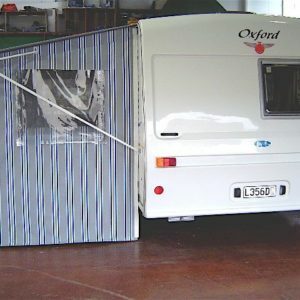 Our Motorhome and Caravan awning’s are custom made to fit your vehicle. 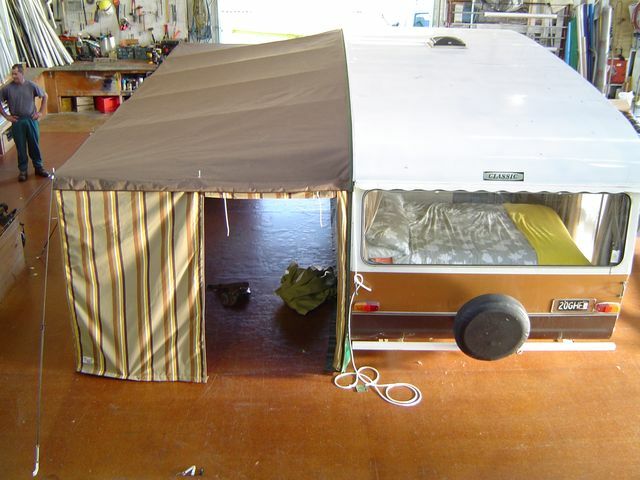 The simple low maintenance design is strong and stable. 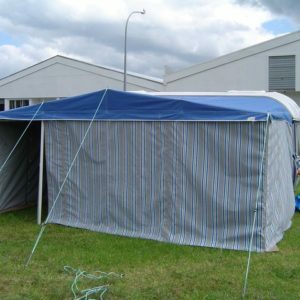 Designed to withstand the New Zealand weather to a higher degree than other awnings our awnings are renowned for their stability, strength and ease of use. 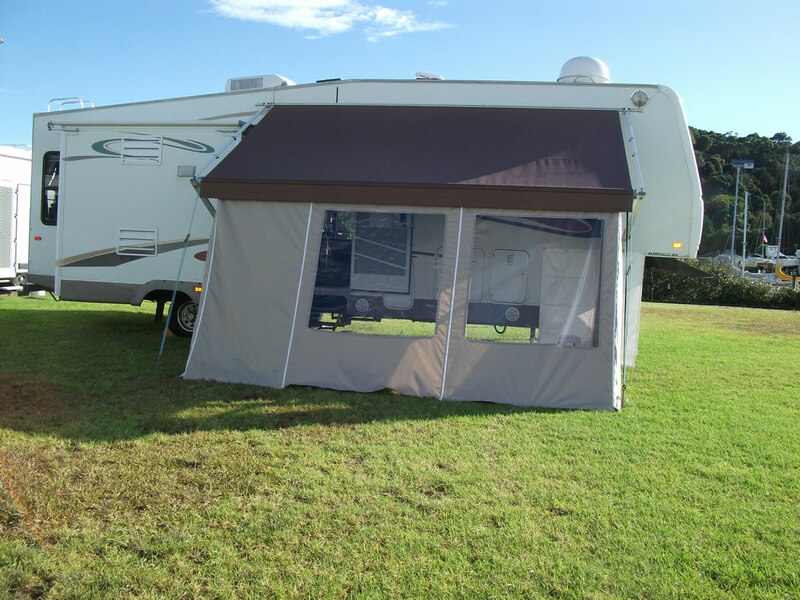 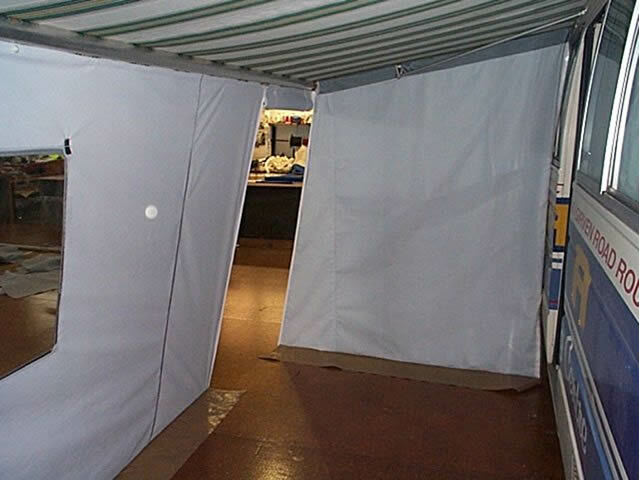 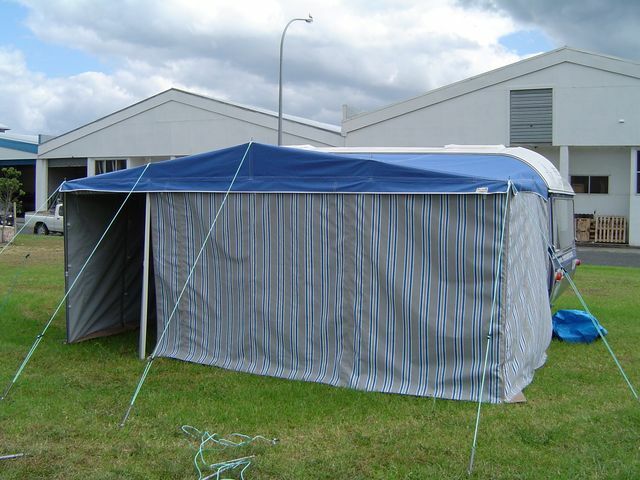 Awnings can be fully enclosed to give an extra room or single walls attached to act as a windbreak and with no external legs you gain more space and storage. 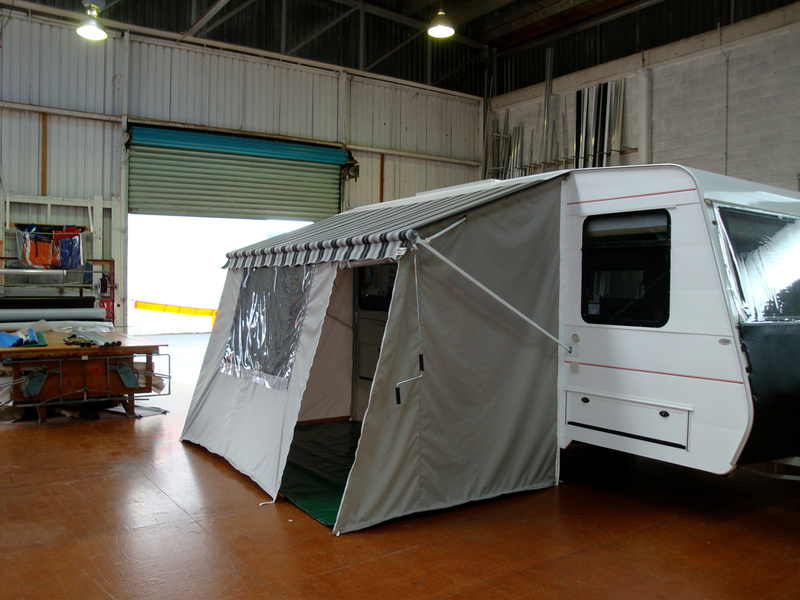 Awning installation is done in one day and full enclosures completed within three days – parking available at the rear of the premises.